The newly elected Pope Francis has made history in more ways than one. 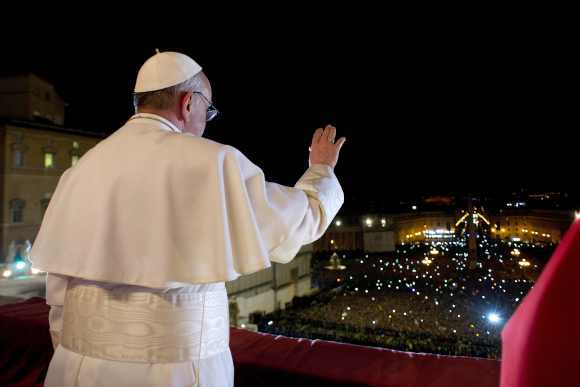 Being dubbed as the 'Pontiff of Firsts', Jorge Mario Bergoglio is the first non-European leader of the world's 1.2 billion Catholics in more than 1,000 years. 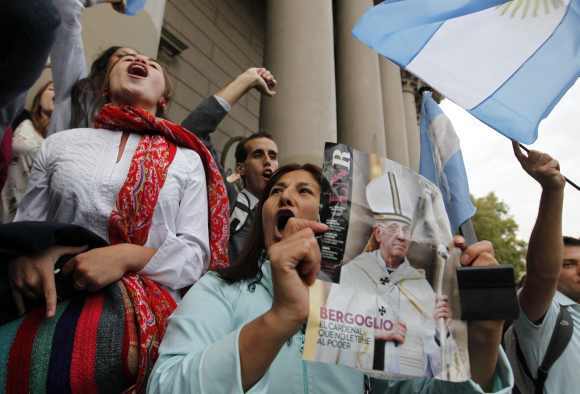 An Argentine, he is first pope to be elected from Latin America. 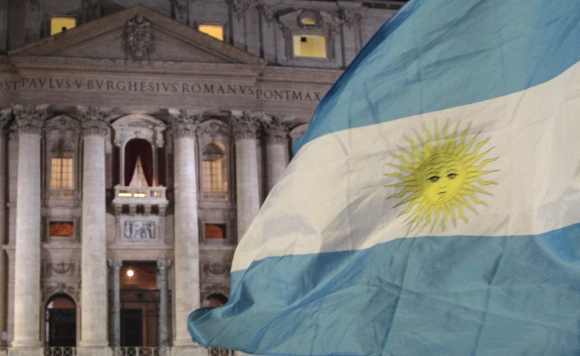 Francis, who was the Archbishop of Buenos Aires, is the first pope not born in Europe since Columbus alighted in the New World. The new pope broke historic ground by choosing the name Francis, a first. Pope Francis chose his name in honour of St Francis of Assisi because he is a lover of the poor, said Vatican deputy spokesman Thomas Rosica. He is the first Jesuit pope, a band of priests and missionaries who live sparse lives, sometimes living in extreme conditions. It is a small and highly committed order that hatched from military beginnings and has only 20,000 members worldwide, of whom about three quarters are priests. 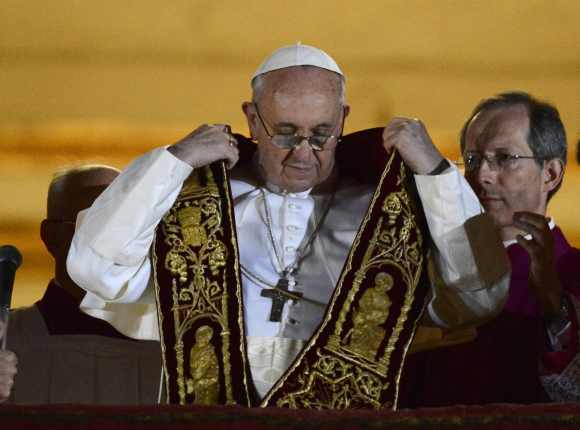 Pope Francis broke tradition in his first public appearance before the 1,50,000 people gathered at St Peter's Square. Rather than bless the crowd first, he asked them to pray for him. "Let us say this prayer, your prayer for me, in silence," he said, as the crowd cheered. The pontiff refused to use a platform to elevate himself above the cardinals standing with him as he was introduced to the world, breaking away from another tradition. "He said I'll stay down here," Cardinal Timothy Dolan, archbishop of New York and the president of the United States Conference of Catholic Bishops told CNN. "He met each of us on our own level." 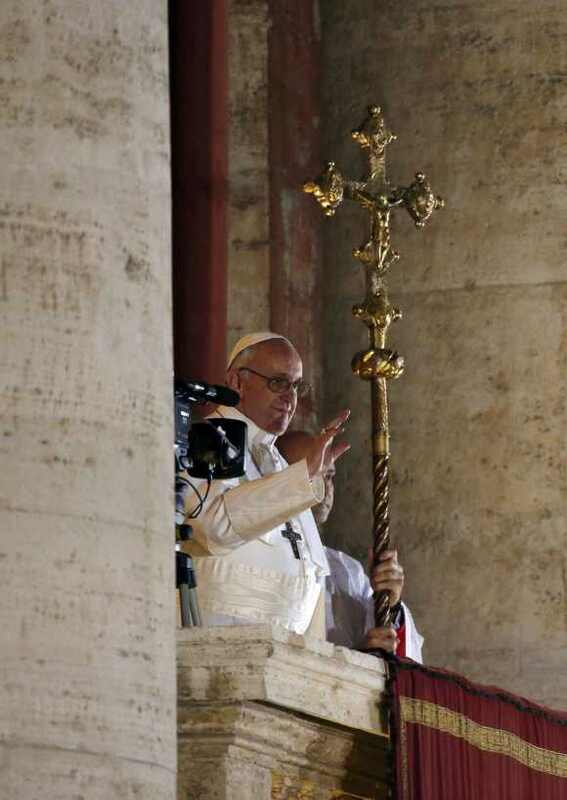 Wearing white papal clothes, Francis appeared in front of the rain-soaked faithfuls after being elected by cardinals in the fifth round of voting on the second day of the conclave. 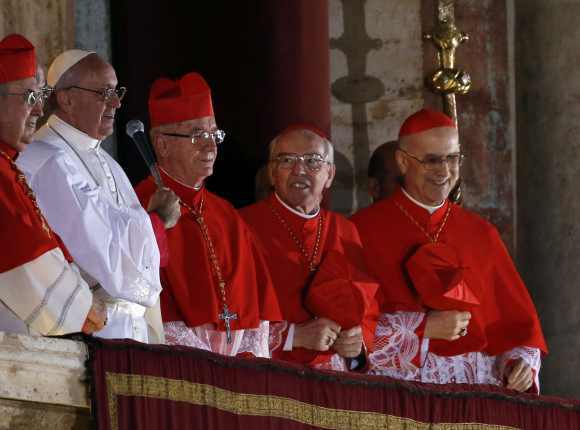 "As you know, the duty of the conclave was to appoint a new Bishop of Rome," he said. "It seems to me that my brother cardinals have chosen one who is from faraway. But here I am. I would like to thank you for your embrace."